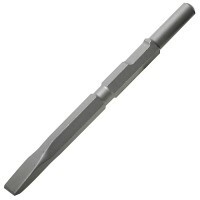 Silverline 277854 Features Kango K9 fitting 21mm hex wide chisel. 50mm x 300mm long..
Silverline 918527 Features Kango K9 fitting 21mm hex point chisel. 600mm long. ..
Silverline 394978 Features Kango K9 fitting 21mm hex point chisel. 380mm long. ..
Silverline 794322 Features Kango K9 fitting 21mm hex wide chisel. 75mm x 300mm long..
Silverline 589672 Features Kango K9 fitting 21mm hex point chisel. 450mm long. ..
Silverline 583246 21mm Kango K9 Fitting Flat Chisel 600mm Features Kango K9 fitting 21mm ..
Silverline 228532 Features Kango K9 21mm hex flat chisel. 380mm long. 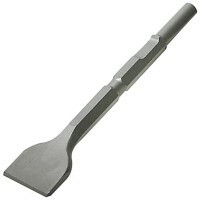 Will fi..
Silverline 993034 Features Kango K9 fitting 21mm hex flat chisel. 450mm long. ..